Our three luxury Southend-on-Sea suites offer the highest standard of accommodation in the area with designer furniture and artwork. 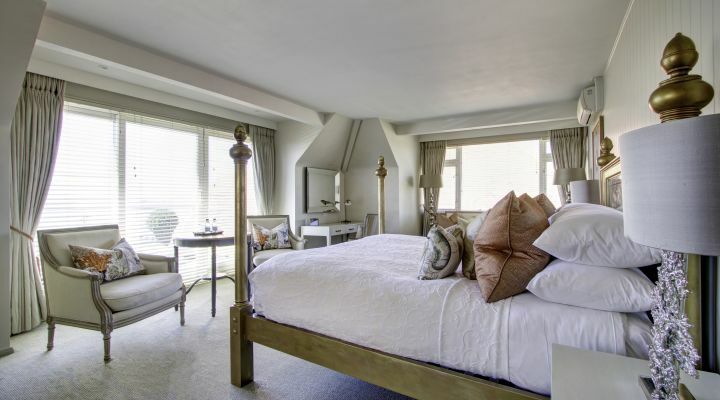 One even has a private balcony overlooking the beach and Thames Estuary for a truly stunning experience.The Mulberry, The Estuary and The Esplanade Suites offer decadence in a relaxed atmosphere. All pillows, linen and furnishings are of the finest quality with handmade furniture accentuating the style of the rooms. Lounge in a plush bathrobe and slippers, enjoy a movie on satellite TV, order from our in-room dining menu and simply relax by the sea. These luxurious suites in Thorpe Bay also feature the Sky Sports Package in stunning high definition. All residents receive a complimentary breakfast.